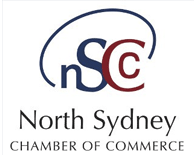 We’d like to lend our support to a petition that has been organised by the North Sydney Chamber of Commerce. The brilliant annual event Vivid Sydney was this year to be extended to include the North Sydney area but a recent council meeting has seen a change of mind. Take a moment to read the background information here and if you agree with us that this would be a positive please complete the online petition.